An adjudication committee will review nominations and select an award recipient. Nominees will be notified in March and the award will be presented at BCG 2018. The Event of the Year recognizes the successful preparation and execution of an outstanding event. It acknowledges the event organizer’s commitment throughout the entire process, from the planning period to the completion stage. It reflects the creativity and innovation implemented into the event, as well as the engagement of the members of the community. The Executive of the Year is presented to an individual on the executive board of their organization. It recognizes the extraordinary performance and contribution dedicated to the morale and development of their team. It acknowledges the strong leadership qualities the individual possesses, as well as the inspiration and motivation they give others. It reflects the passion and dedication the individual commits to the organization. The Student Organization of the Year is awarded to the student organization with the best overall performance. It recognizes the hard work the members have put in as well as the success of the organization’s events and programs. It acknowledges the engagement the organization has had with their members and general student population, and recognizes the progress the organization has gone through towards developing and advancing its overall performance within the year. 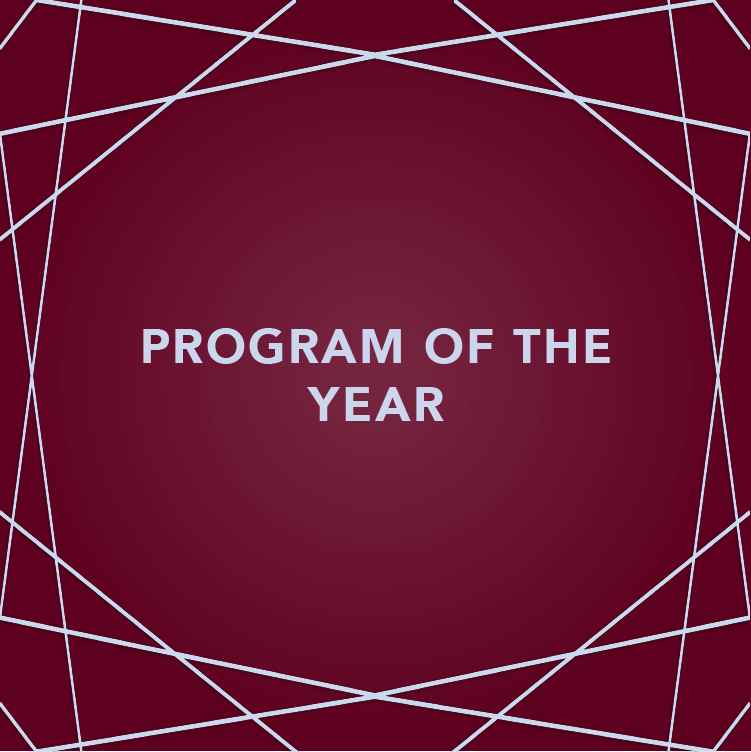 The Program of the Year recognizes the innovative initiatives and exceptional achievements of a program. It reflects the progress the program has gone through within the year, as well as its sustainable growth for the future. It is awarded to a program whose team members have dedicated themselves to both inspiring students and giving back to the community.